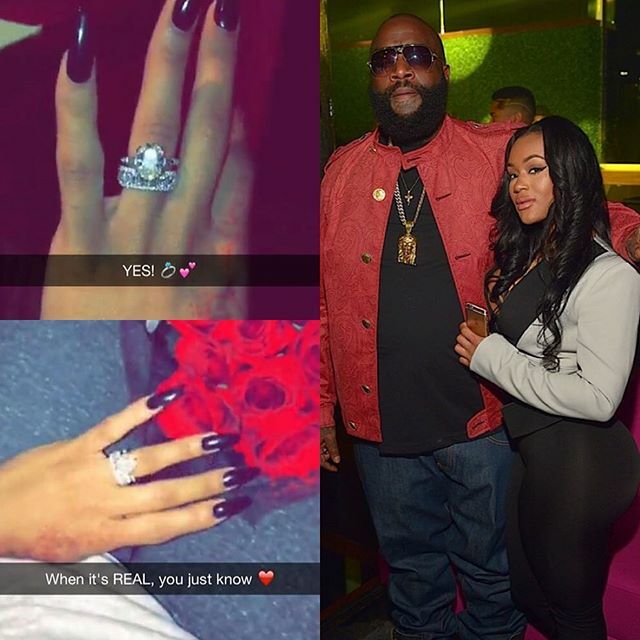 US rapper Rick Ross has found the one and that is popular 22 year old girlfriend, Lira Galore. They’ve been dating for about seven months now and even though Rick’s baby mother has been throwing major shade her way, that didn’t stop Rick. Lira posted a picture on her snap chat with the caption ‘YES’… You know what’s funny, she spoke this into existence… Back in 2012, she tweeted that she was going to marry Rick Ross… Now look at her…. Check out the tweet below. Big congrats to them.